New multi-directional crosswalk at 5th & Spring Street forges safer, more efficient paths for pedestrians and drivers alike. 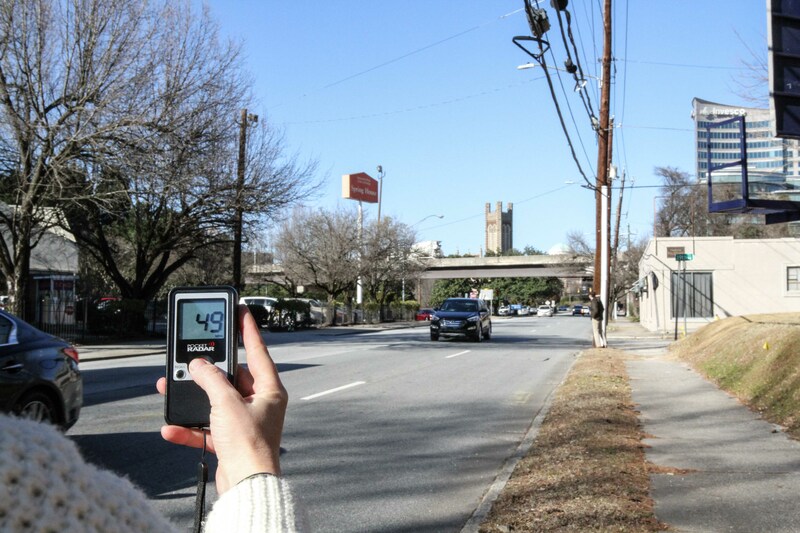 Atlanta's innovation and entrepreneurial hotspot Tech Square has created one of Midtown Atlanta’s most bustling intersections at 5th and Spring Street. Because of the surge in travel activity each day at this intersection, a need for a safer crossing system was identified. And just in time for the new year, Midtown Alliance—in partnership with the City of Atlanta and Georgia Tech—installed a multi-directional “pedestrian scramble” at 5th and Spring. The intersection is designed so pedestrians can cross in any direction while the light is red. This allows vehicles to make turns without delays from pedestrians; in turn, those on foot would not be in danger of getting hit by a vehicle. While it may seem unfamiliar at first, the pedestrian scramble—also known as a diagonal crossing—is a throwback to 1940s U.S. traffic engineering. Today, versions of the crosswalk design are making a comeback in major cities worldwide, creating safer, more efficient travel environments for pedestrians and drivers alike. 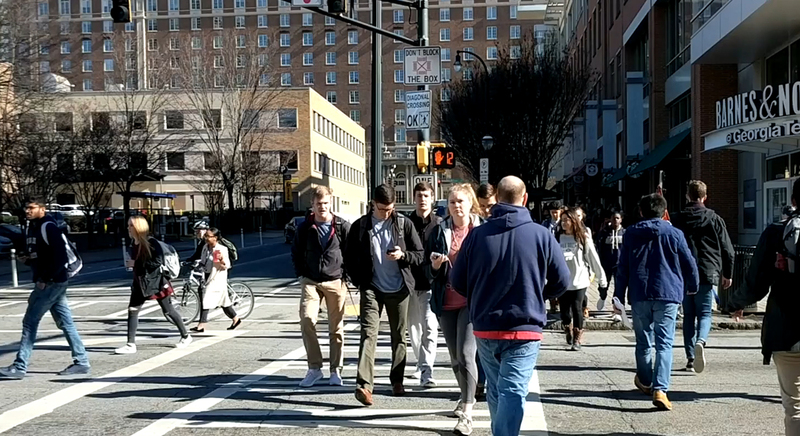 If you plan to make a trip through Tech Square soon, learn the crosswalk rules by watching this video from the Georgia Tech Police Department.